WHO IS DERMAPLANING IDEAL FOR? Anyone with acne-scarring, hyperpigmentation, or uneven skin tone is an ideal client for dermaplaning. Mature and aging skin types with fine lines or wrinkles, would also benefit from this treatment. Being a physical exfoliating method, dermaplaning is especially safe for pregnant and lactating mothers who cannot get chemical peels. However, dermplaning is not ideal for oily skin types, and those with active acne should wait until lesions or breakouts completely heal. Estheticians at Silver Mirror go through extensive training and hands-on certification for dermaplaning. So rest assured that you’ll be in great hands when getting a treatment with us! We offer dermaplaning as an add-on to any of our facials with the estheticians in-house who are certified. Please call and ask ahead who is able to perform this treatment when booking. Our most popular combination is the Anti-Aging Facial with a dermaplaning add-on. 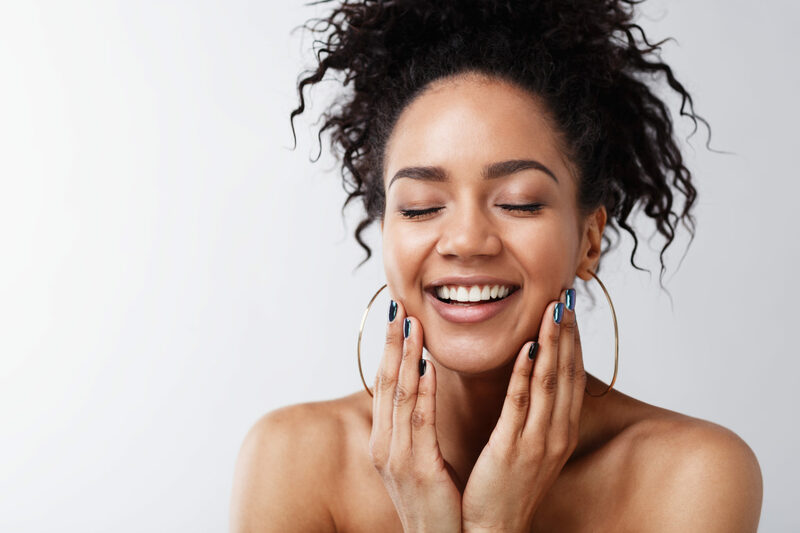 Because you’re getting a 50-minute facial packed with our latest anti-aging devices and products plus a thorough exfoliation, the results are spectacular for the skin. The main question all of our estheticians get is whether the vellous “peach fuzz” hair grows back thicker and darker once removed. That is physiologically impossible. The soft, fine vellous hair will grow back slowly- usually in about 4 weeks – and will be the same thickness and color as your hair has always been. Here at Silver Mirror, we suggest that our clients come back every 3-4 weeks to get a facial, which is also an ideal amount of time for the skin to renew itself and be ready for another dermaplaning appointment. 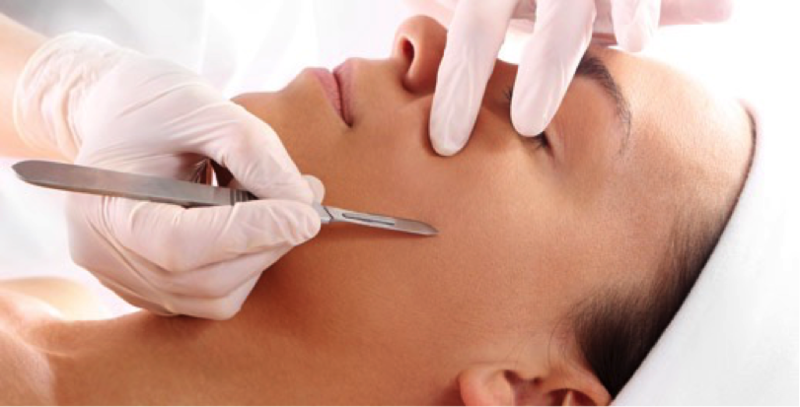 Dermaplaning is not painful, and shouldn’t leave you with any cuts, scars or peeling. We take an oil-based approach to dermaplaning rather than a dry-skin approach, which other places might do. Because of this, there is less likelihood for any cuts. There is no downtime with this treatment, unlike some facials or chemical peels. What is the difference between dermaplaning and microdermabrasion? For starters, both are a form of physical exfoliation. However, dermaplaning removes vellus hair (peach fuzz) and dead skin cells from the skin, whereas microdermabrasion will also exfoliate but not as thoroughly or deeply. Are you convinced yet about dermaplaning? We here at Silver Mirror love this treatment for our customers, and we know the results speak for themselves. Shoot us an e-mail or give us a call if you have any other questions or thoughts to share about dermaplaning. You can also Book a facial with us today.